The shared starting point here is that we are in a situation in which the Fed would clearly cut rates if it could; based on historical relationships between unemployment, inflation, and policy rates, the Fed funds rate “should” be something like -4 percent. But the Fed can’t do that. I think that’s probably right, although I doubt the Fed would cut rates by 400 basis points, even if they were able to. But why not cut the fed funds target? The conventional answer is that it “wouldn’t do any good, as nominal rates can’t fall below zero” (or even below the IOR rate, if you want to be picky.) That’s true, but while there’s a lower bound on the actual fed funds rate, there’s no lower bound on the fed funds target. 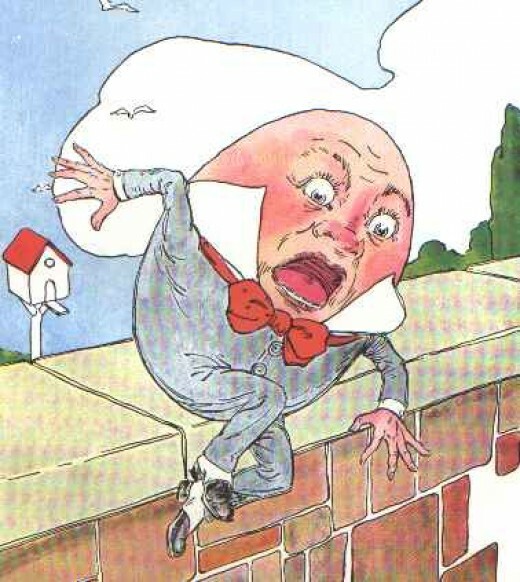 This article was posted in Ben Bernanke, humpty dumpty and tagged Economy. Bookmark the permalink. Follow comments with the RSS feed for this post.Post a Comment or leave a trackback: Trackback URL.